“The Independent” is the quarterly newsletter of ICS, designed as an oversize publication. One sheet, side by side, English and Spanish, in a comfortably sized, easy-to-read font. 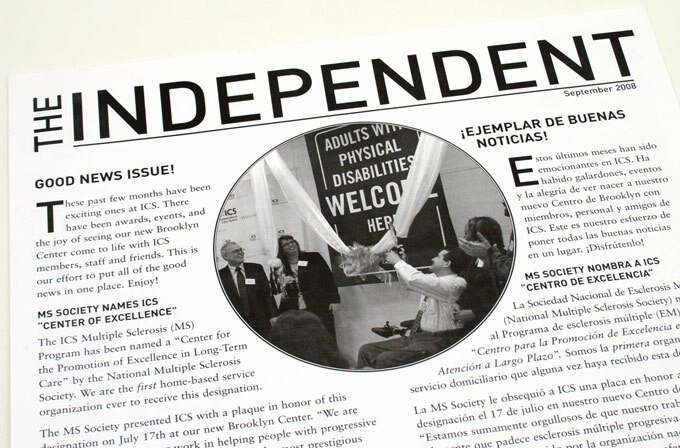 ICS is a nonprofit organization committed to assisting people with disabilities to live independently.